Scott Foresman Social Studies (©2005) components for Building a Nation. 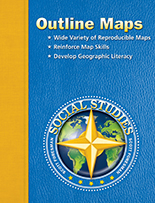 Scott Foresman Social Studies captures your students imagination right away. Eye-catching unit openers draw students in and pave the way for learning. Filled with primary sources, colorful biographies, charts and maps, riveting You Are There selections that put your students in the middle of action, Dorling Kindersley Eyewitness lessons, custom hands-on projects from Discovery Channel School, and exciting lessons from Colonial Williamsburg, this is a program that compels students like no other. 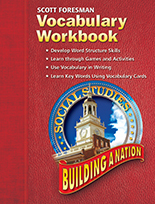 With reading, writing, and vocabulary instruction built into every lesson, you can be sure that your students are building valuable skills while they learn social studies. Use this collection of primary-source documents, excerpts, and authentic literature to give students in-depth historical background. Students develop an eyewitness perspective as they read historical journals, letters, and speeches and view visual documents from our nation's history. Help students build test-taking strategies with this useful practice book. 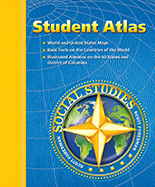 Includes a social studies passage with six related worksheets for each unit in the student book. Worksheets highlight specific strategies such as using information from the text, finding key words, and choosing the best answer. 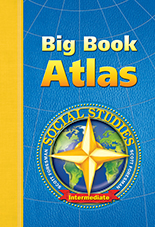 Compact (8 1/4" X 5 5/16") easy-to-use book with fascinating social studies facts and related questions for 5-minute routines, five days a week. 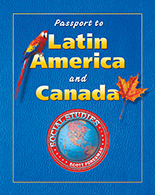 Cards cover five major social studies content strands: geography, history, economics, government, and culture. Answer Key is included.